A full-featured wireless security system that combines the most popular security features in one convenient and affordable package! 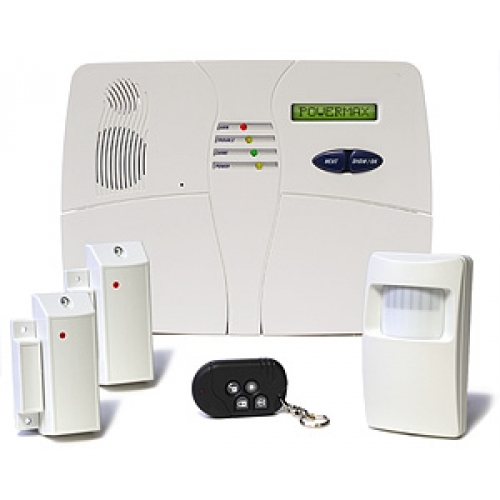 This system offers all the bells and whistles you need to effectively protect your home from burglars. Plus, because it uses advanced wireless transmission technology, the Powermax system can be installed with minimum effort, without strewing cables throughout your home! 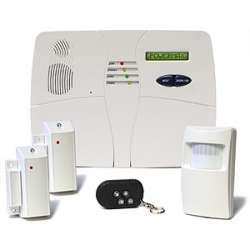 Powermax Wireless Alarm Kit includes: Controller, reciever, sounder and full-featured keypad, mini-magnetic contacts, 4-button keyfob and wireless PetSmart Motion Detector.